In New Orleans, you must eat cabbage along with black-eyed peas to start your year off right. Cabbage symbolizes money (and prosperity), so as tradition goes, the more cabbage you eat on New Year’s day, the fatter your wallet will grow. Besides bringing prosperity, cabbage is great for the cleansing the liver (great after a New Year’s eve party) and it’s full of vitamins. 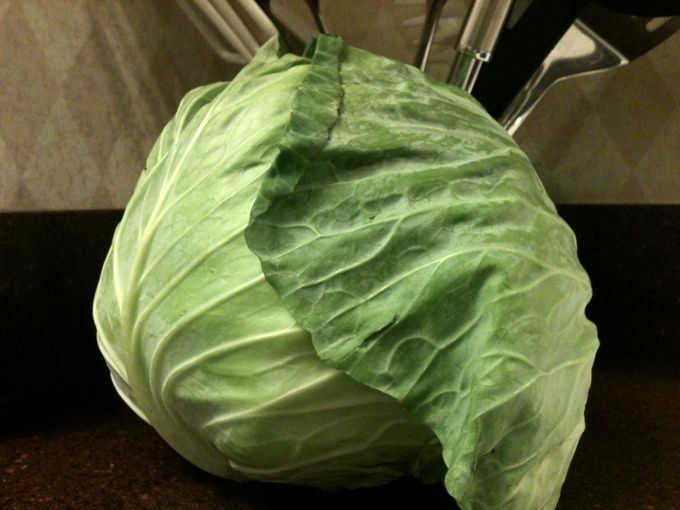 Quarter the cabbage, place into a large pot and fill with water, covering the cabbage half-way. Add the ham hock, a little salt and a dash of Tobasco. Drizzle olive oil over each quarter of cabbage. Cook the cabbage on medium-low, steaming it and cooking it slowly until tender. Add more salt and Tobasco if needed. Enjoy your New Year prosperity!